The field of Canadian Studies is a growing discipline, particularly in the United States. This introductory text offers a thorough and accessible approach to Canadian Studies through comparative analyses of Canada and the United States, their histories, geographies, political systems, economies, and cultures. Among the topics addressed are ways in which Canadian national development has been influenced by the U.S., the role of geography in shaping the country's evolution, and the persistent question of Canada's French-speaking minority, which has been an important and divisive issue since the 1500s. 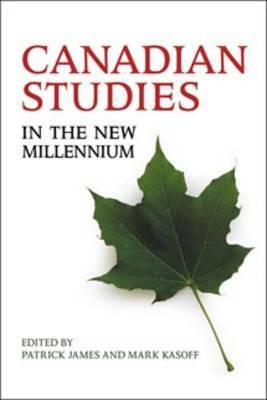 Canadian Studies in the New Millennium is an excellent introduction to Canadian Studies, with chapters written by leading scholars and educators in the field. At a time in which there is a growing mutual dependence between the U.S. and Canada for security, trade, and investment, this text is an ideal tool for understanding the close relationship between the two countries, their shared experiences, and their differing views. Canadian Studies in the New Millennium will be of significant value to students, educators, and practitioners.